As a young man I worked in many facets of the building industry for some very talented contractors. 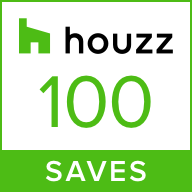 From custom home building, to framing and interior remodeling… there isn’t much that I haven’t done. Having such a varied construction background has helped me to provide more value for my customers. I often use my experience and product knowledge to help customers make more informed decisions about achieving their goals. When you hire me, my hope is that you’ll feel like you have an ally… someone you trust, that will give you the kind of advice and recommendations you’d get from a good friend. 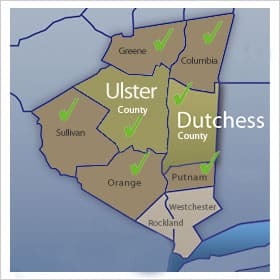 And if you need a recommendation for another contractor, I can put you in touch with talented people that understand the value of a referral, because that’s how I built my business, solely on recommendations. "Anthony did what very few contractors would do... he showed up after we paid"
"He did extra details that clearly weren't in the scope of his responsibility... He even made sure that the inspections got taken care of and he got us done on time. 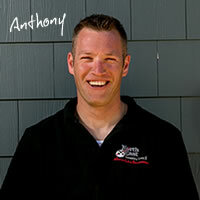 If I needed a recommendation about products or contractors, Anthony knew who to call. He was connected with all kinds of contractors. He had great product and market knowledge. His team was friendly, they were polite... It was really a fantastic experience." Robbie Garcia has been with us since 2005. He has 20 years of experience in the remodeling business. He's meticulous and thorough, with excellent communication skills. Robbie also has an electrical engineering background, so he loves blueprints. Give this man a blueprint and he executes to spec, down to finest detail. He's one of our lead foremen for all things related to Hardie siding installation. Just like most of the guys on our team, Robbie is a dedicated family man, with 3 children. Miguel Guevara is another one of our lead foremen. He's a master roofer and siding expert. He's been in the building industry for 20+ years and he’s been with us since 2005. He has great communication skills and is a real go-getter... He gets the whole team fired up in the morning and he knows his stuff inside and out. 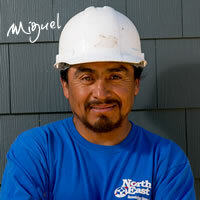 Miguel pays great attention to detail and has the skills needed to do the job right. He is also certified by GAF and Owens & Corning. Yoshi Vasquez is Robbie's son (our foreman above.) He's ambitious, youthful and always brings a high standard to his workmanship. 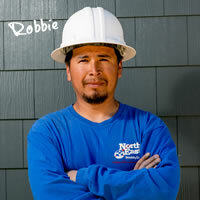 Yoshi is an expert Hardie Siding installer and on his way to becoming well rounded builder. Yoshi is the youngest family man on our team. He's the proud father of a young boy. Yoshi may be young in years but he's got his priorities straight and a work ethic as solid as his old man's. "They were consistent, and on time. There was no standing around having coffee. They hit the ground running, their ladders were up... bang bang ...they were very professional. I don’t have one complaint." Call us With Any Questions... Even if You’re Just Shopping! No Sales Pitch, Just Honest Advice.